During the final days of World War II, German SS officers crammed trains, cars, and trucks full of gold, currency, and jewels, and headed for the mountains of Austria. Fearful of arrest and determined to keep the stolen loot out of Allied hands, they concealed their treasures and fled. Although most of these men were eventually apprehended, many managed to evade capture. The intensive postwar Allied investigation that followed recovered but a sliver of this mountain of gold. What happened to the rest of it, and what fate befell these men? 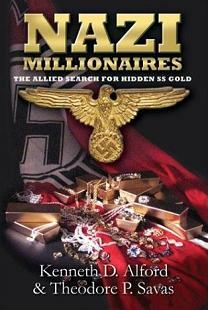 Nazi Millionaires: The Allied Search for Hidden SS Gold is based upon thousands of pages of previously unpublished and recently declassified intelligence memorandums, police reports, accountings, letters, diaries, journals, and other related documents. The result is a fresh and absolutely original study offering insights into the minds and methods of these SS thieves, the Reich Security Main Office (RSHA) within which they labored, how they achieved their positions of near absolute power, the complex Allied investigation into their activities, and what happened to the vast sums of wealth they looted from occupied Europe. Count Folke Bernadotte, Sweden's beloved head of the Red Cross and one of history's darlings, was holding large sums of money after the war for one of Heinrich Himmler's top SS officers. Was he a Nazi collaborator, and does this explain his assassination in Jerusalem a few years later? The saga of Irish Scheidler and Elfreide Hottl. Both were married to powerful SS officers, both cooperated with American agents, and both knew more about hidden treasures than they ever revealed. Göring also transported his private hoard to the region, including a large collection of vintage wines. The hoard was to be shipped south on two special trains, code named Adler (meaning eagle) and Dohle (meaning jackdaw). Due to the rapid Allied advance and air cover, the two trains were unable to go directly to Munich. On April 16, after three days, the trains were stranded about ten miles from Pilsen, Czechoslovakia. There, some of the treasure was loaded onto trucks for the remaining journey to Munich. On April 19, the trains were just inside the Bavarian border and an another portion of the treasure was again loaded onto trucks. Spacil had amassed a huge private hoard for himself. 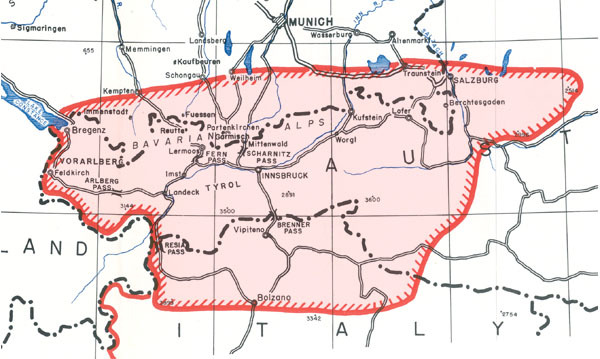 In the closing days Spacil partially divided it among Gestapo officers. Spacil gave Otto Skorzeny: 50,000 gold francs, 10,000 Spanish crowns, 5,000 dollars, 5,000 Swiss francs and 5 million Reich marks. Skorzeny was hiding in the Austrian Tyrol. It is noteworthy the money given to Skorzeny was never recovered. After Skorzeny surfaced in Spain, he lived palatially and ran his part of Die Spinne (the spider) escape route from there. Additionally he became a dealer in the arms trade. During the 1950s, it was clear to American intelligence that Skorzeny had ample funds at his disposal. The gold recovered from the various Reichsbank branches totaled $3,000,000. However, from interrogations and captured documents, the Gold Rush teams knew the Reichsbank branches had contained over 17 million dollars of gold. Approximately $3,000,000 had been captured by the Russians in Berlin. The remainder had been shipped to southern Germany. In early May, Bernstein had to return to Washington for discussions with President Truman on the decartelization program, which he was also responsible for. Lt. DuBois then took charge of the recovery efforts in southern Germany. The Allies would not recover any gold in Southern Germany until June 7th. A detachment headed by Major William Geiler (later a New York Supreme Court justice) recovered 728 gold bars. Unlike the myth that surrounds this discovery, these bars were shipped to Frankfurt and properly inventoried. It is commonly confused with the gold recovered by Sargent Singleton. Singleton had recovered a stash of gold described to be about three feet high and about three feet wide. This gold was delivered to Munich properly, but never reached Frankfurt. In the course of our trial against Nazi diplomats which has just been concluded, it was brought to light that the German Foreign Office had - besides other gold funds - a special Ribbentrop gold fund, in gold bullion, weighing approximately fifteen tons. Leads and newspaper accounts from various countries in the Western Hemisphere indicate that unrecovered Foreign Office gold, probably in the hands of former German Foreign Office officials, is still at work for anti-American purposes. Large numbers of former German diplomats who had to do with the Foreign Office gold are still in foreign countries, e.g., Spain, Italy, Ireland, Argentina, Sweden, and Switzerland, living well from unknown resources. In the course of-the trial, I have from time to time pointed out the danger and the problem of this missing gold, but nobody as yet tackled the problem, and with my heavy trial work in Niimberg, I could not devote much time to it, since no war crime was involved. I feel very strongly that this gold project should not be neglected further in these critical times, in which a large amount of uncontrolled gold constitutes a force for evil and mischief in the hands of unscrupulous opportunists working closely together and located in many countries all over the world. The disappearance of recovered various treasure hoards that had been recovered in Southern Germany was all too common of an outcome. A stash of paper currency was recovered from the garden of the von Bluechers. The only document of this recovery is a poorly typed receipt that Luder and Hubert von Blücher demanded before turning the money over to Captain Fred Neumann. The receipt acknowledges the von Blüchers turned over to the U.S. army $404,840 dollars and 405 English pounds. Both Captain Neumann and the von Blüchers were suspected of involvement in the missing money. However, with recently released documents from the government archives, it is now obvious this disappearance of recovered money was part of a much larger problem and cleared Neumann and the von Blüchers. Ultimately, all CID units were under the Command Provost Marshal, Brigadier General George H. (Pappy) Weems. Weems was a West Point officer and his basic branch of service was the horse cavalry. Apparently, Weems was unable to keep up and make the switch from the horse cavalry to armored divisions. Before his transfer to Germany, Weems had been head of the military mission to Hungary. Noticeably absent in his background was any past police work or investigative work. Also apparent was that Weems seems to have suffered some a mild stroke. He walked with a cane and had a faulty memory, which lacked the capacity to understand anything of a complex nature. The general was also afflicted with poor hearing and was known to issue outrageous orders and have temper tantrums. 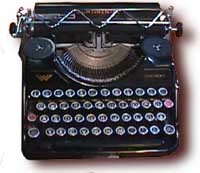 Weems had a strange obsession with typewriters. Any case involving a typewriter reported stolen or missing had to be brought to his personal attention. In short, Weems was senile, most likely the result of a mild stroke. What the records now show is that none of the recoveries in the area around Garmisch ever reached the Federal Exchange Depository. The various American authorities in the chain from Garmisch to Frankfurt were all familiar with the proper procedures for the transfer of funds. The funds would reach Munich and from there disappear. After an exhaustive search, authors Ian Sayer and Douglas Botting concluded that $432,985,013 from the Reichsbank was never accounted for. Notably, included was the diamonds, securities and currencies given to Otto Skorzeny by SS General Spacil totaling $9,131,000 of which only $492,401 was ever recovered. In one case, Major Roger Rawley recovered $8,000,000 of paper currency and turned it over to Major Kenneth McIntyre. From there, the funds disappeared. Following the collapse of Germany to the allies, the economy decayed into a black market economy with cigarettes as the preferred medium of exchange. One Camel cigarette was worth more than double a day's pay for a German hired to clear rubble. At first General Clay, seemed unaware of the black market, but when a CID reported to him the black market was a security threat Clay took every avenue to cover it up. Americans willing to engage in the black market extended all the way to the top and included Clay's wife, who reportedly was very active in the black market. The US Customs, Florida District made it more difficult for General Clay to cover up the black market after they sent a complaint, listing landings of Clay's personal plane in the Miami area. In each case, the pilot reported the landing as a classified mission, thus bypassing customs. However, in Germany the flights were logged as training missions. Charges were filed against the pilot but it was clear he was just taking the fall for someone else. Many Americans tried to strike it rich in the black market economy, most failed. However, the number of those that succeeded came predominately from the Office of Military Government in Bavaria. The head of the Financial Division in Munich was Colonel Lord and his aid Major McCarthy from Property Control. Both individuals figure prominently in the disappearing gold and currency once it reached Munich. Once the gold from Garmisch was turned over to the proper authorities in Munich, only McCarthy and Lord would have had access to it. An American investigator also accused McCarthy of having a hand in the drug trade in and around Garmisch and Munich. She looked at me and said, "Oh you must be the young man who came to pick up the briefcase with the papers for Switzerland." I said, I guess so." She said, "oh yes, Lieutenant told me that you were coming to pick it up and that you are a young pilot." So I said, "yes." The Dame came down and handed me a briefcase and a larger attaché case, which had been sealed with a diplomatic seal. Therefore, I took them and hastily left. I took them to my room in the house and opened up the diplomatic case and to my surprise found it filled with British pounds in rather large denominations and also some jewelry. The briefcase I found to be filled with about ten folders which contained very neatly written columns of names of people with dates and their rank, their location and sums of money---all the instructions and records of how the money had been transported across the border. I immediately went to Colonel Smith and he was extremely interested. We went through the paperwork and found a great number of important names, including a number of colonels from headquarters. The one thing they all had in common was that they all belonged to units that had one time or another controlled the border crossing to Switzerland---military police, military government agencies, and CIC. By the middle of July 1947, Colonel Smith had completed his preliminary investigation and filed his report to General Clay. The report pointed out there was enough evidence to warrant a full-scale investigation. General Clay issued an order to that affect. Smith, fearing for his life, asked for an immediate transfer. Immediately afterwards, the military governor and post commander of Garmisch were shipped back to the states and several other officers transferred out of the area. The Inspector General Office suddenly closed the investigation. Kulka alleges the order to stop the investigation was given by Clay's office. Additionally, he claims half of the US command would have been in trouble if the investigation had continued. The files gathered by Smith and Kulka were destroyed. Kulka was ordered to keep his mouth shut and then accused of gunrunning and of harboring an alien in his quarters, who happened to be his 87-year-old grandmother. Additionally, his bride to be and currently his wife, was listed as a Sudeten German expellee from Czechoslovakia and not as a Jewish DP. When Kulka told his senator of the problem, so much pressure was brought on his bride to be and his grandmother that he had to keep his mouth shut. Only by an accident was his future bride allowed to get her exit permit. Colonel Smith was transferred from Berlin to Ecuador. In 1978, Kulka reported that friends of his still suffer from mysterious deaths and suicides that he believes are warnings from the Garmisch affair to keep his mouth shut. The investigation soon crossed the path of journalist Günter Reinhardt. Reinhardt was a native of a Jewish Germany banking family. At the age of 21 he had immigrated to the United States. His first job in New York had been with a bank, but by 1933 he had became a freelance journalist. He wrote a syndicated column on foreign affairs for the McClure newspapers. His connections to various banking and civic groups commissioned him to conduct an investigation into Germany's likely future international relations. Reinhardt turned over to the House Committee on Immigration and Naturalization the information he uncovered about Nazi activities in the United States. This led Reinhardt into his involvement with American Intelligence. In 1934, he acted as a liaison between the McCormick Committee and the FBI. During 1942 and1943, Reinhardt infiltrated communist organizations for the FBI. In 1946, he joined the CIC in Germany. McCarthy and his superior, Colonel Lord did not escape unscathed. While they survived charges from the Reinhardt memo, their boundless greed eventually caught up with them. The pair concocted a scheme to buy the various I.G. Fraben plants through a front they set up in Liechtenstein. An investigation ordered by General Clay unmasked their scheme and the army discharged both individuals. However, General Clay made no public announcement of the illegality of the scheme or its outcome.